Special thanks to everyone that has contributed towards the animals at the Hoedspruit Endangered Species Centre over the past few weeks. The HESC was proud to be selected as a supported cause, in the Telkom 947 Cycle Challenge once again this year. 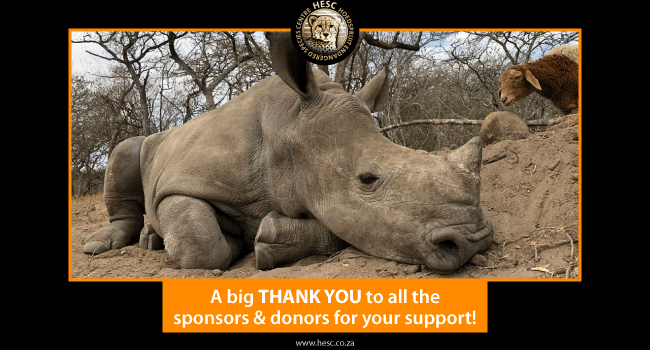 We had the excellent support of over 90 cyclists that cycled for the Rescued Rhinos @ HESC, and we are so grateful to every single one of them. We had the incredible support of the Rhino Life Line, run by Investec, that not only helped with raising funds, but also sponsored the drinks and the catering, for the well deserving cyclists. Special thanks to Geraldine Fleming for all your help in arranging this, and for cycling with our HESC team. Special thanks to Gazebos for Hire, ZeroPlus Printers, Raising Rhinos, Antalis, Spoke Works, Domains and Pharma2U for their generous contributions. We are extremely grateful for the wonderful support. Tatiana Ferreira and her husband, Malcom Ferreira, have been big supporters of HESC for a few years now. 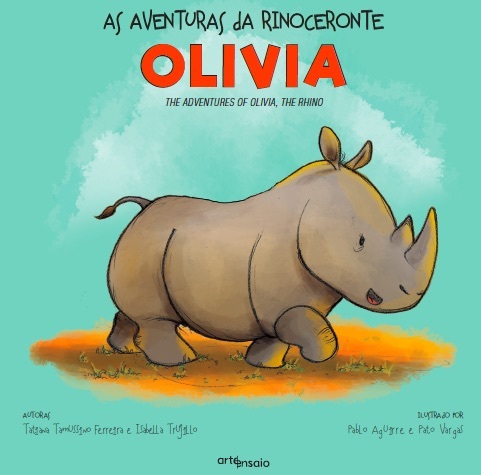 Having fostered Olivia, Tatiana decided to write a children’s book dedicated to her brave story. The book has been published, and we look forward to receiving a copy soon. Thank you Tatiana! Thank you to everyone that donated on Giving Tuesday. 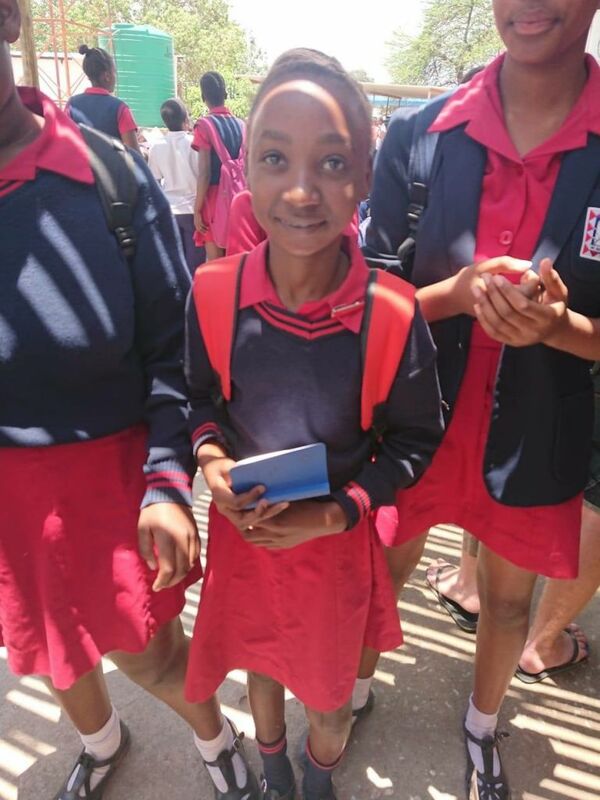 We raised an additional from USD500 from matching of recurring donations! 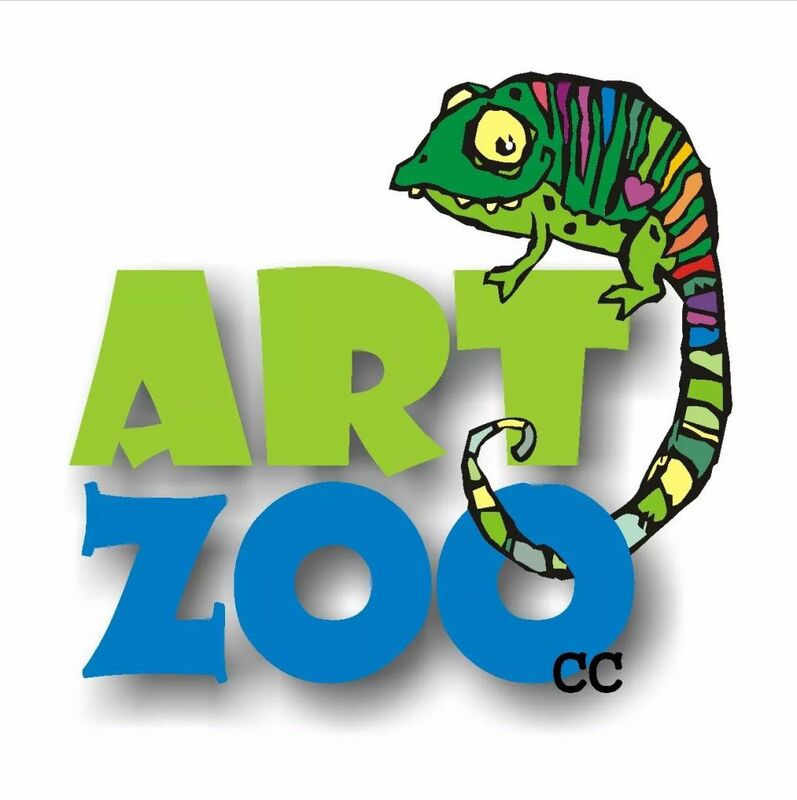 On Saturday, 24 November 2018, Art Zoo Studio and Raising Rhinos hosted the ‘Paint a Rhino to save a Rhino’ fundraising event. 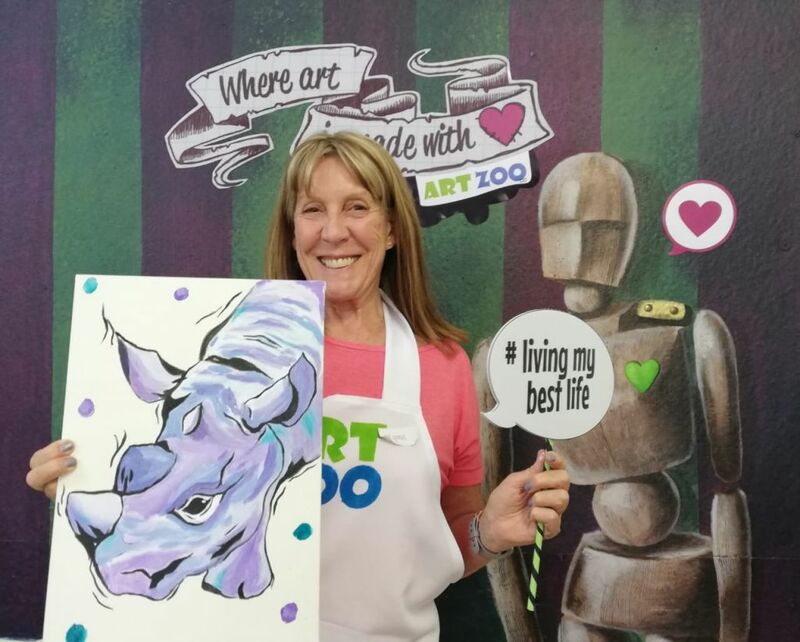 The fun and creative event included an acrylic painting workshop that raised an amazing R3 500.00 for the Rescued Rhinos @ HESC. 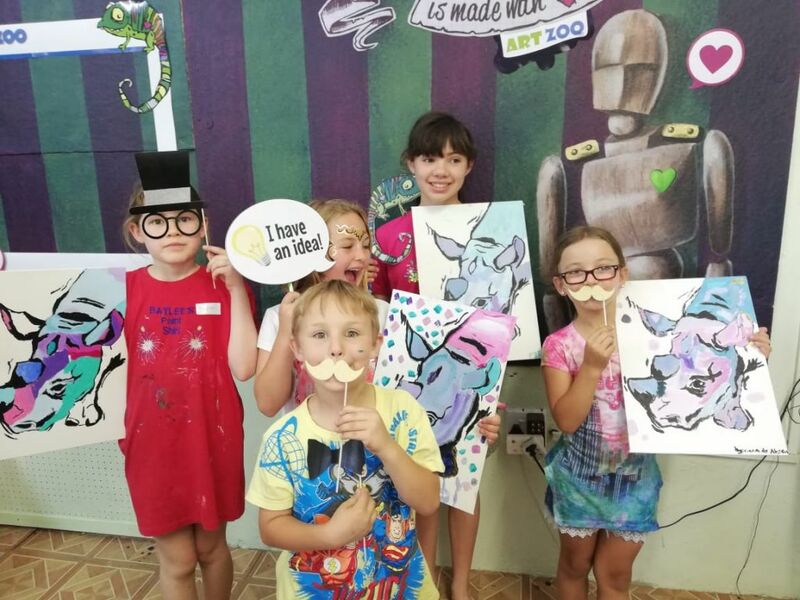 Special thanks to Monique from Art Zoo Studio, the Raising Rhinos team and everyone that participated in the workshop. We are very grateful for the support! 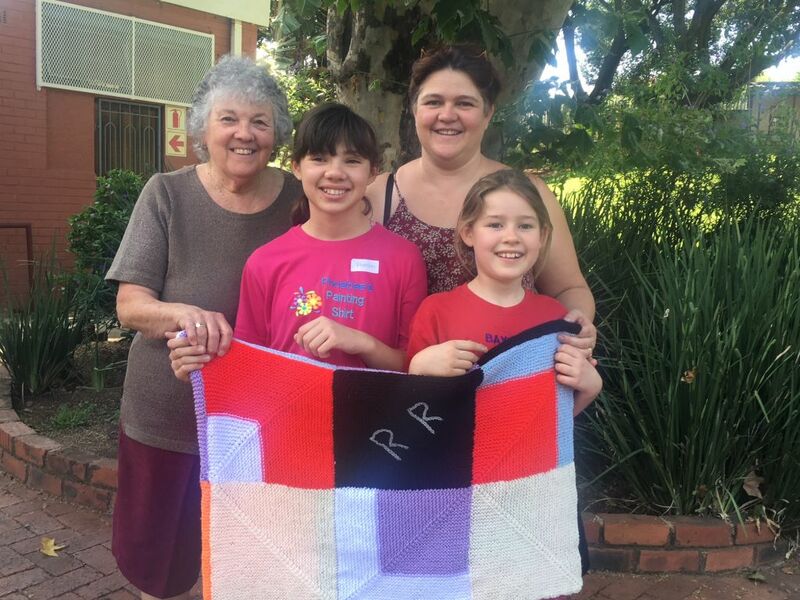 A big thank you to the team at Raising Rhinos for donating another beautiful handmade blanket for the animals at HESC. Your continuous support is greatly appreciated! 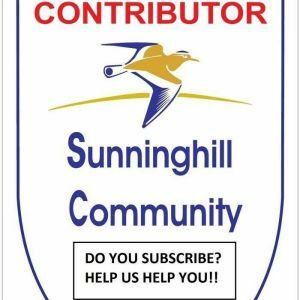 A sincere thank you to the Sunninghill Community and Sunninghill Village Vet for donating ProNutro towards Esme’s (our youngest orphan) daily milk formula. 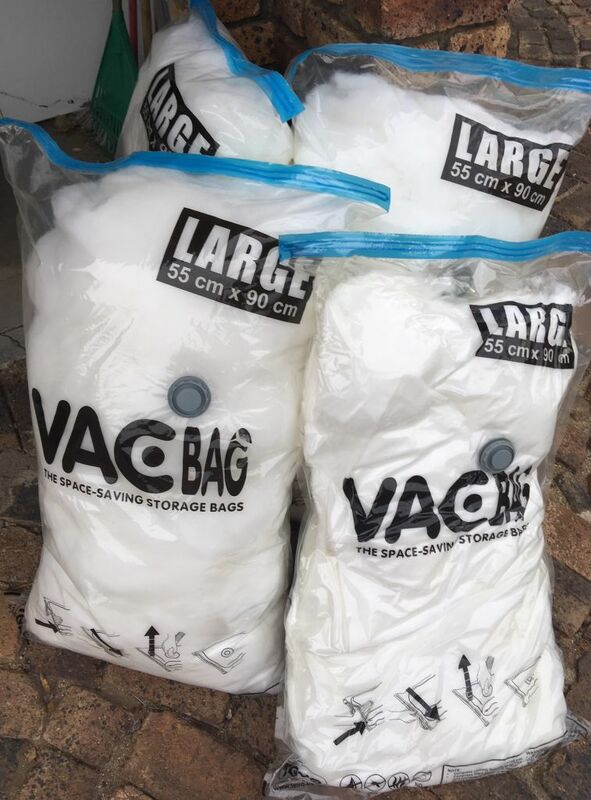 Special thanks to Linda and Chrissy for assisting with the collection and to the Sunninghill Village Vet for allowing us to use your practise as a drop off point. We are very grateful. 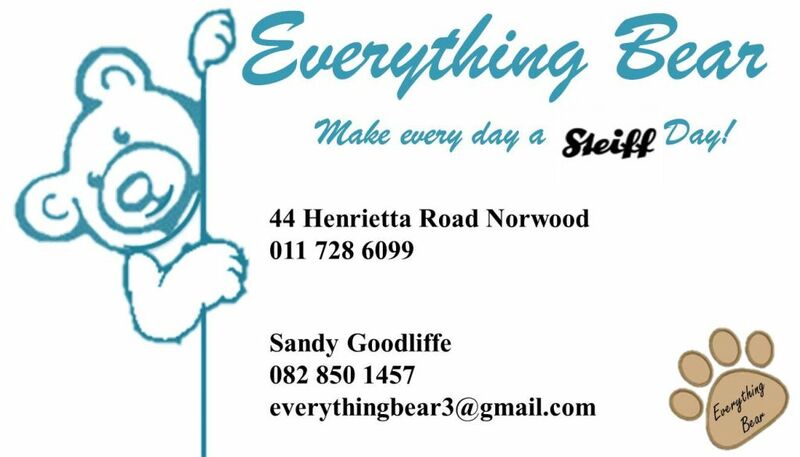 Special thanks to Everything Bear for donating material and sewing items towards the community projects at HESC. Your support is appreciated. Thank you! 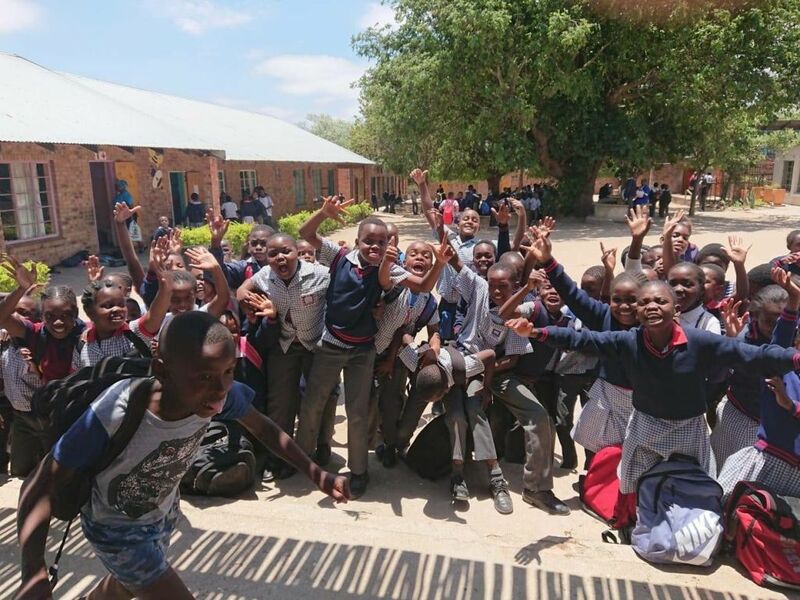 Our friends at Hurlyvale Primary School have done it again! Thank you for donating sports equipment to the HESC. 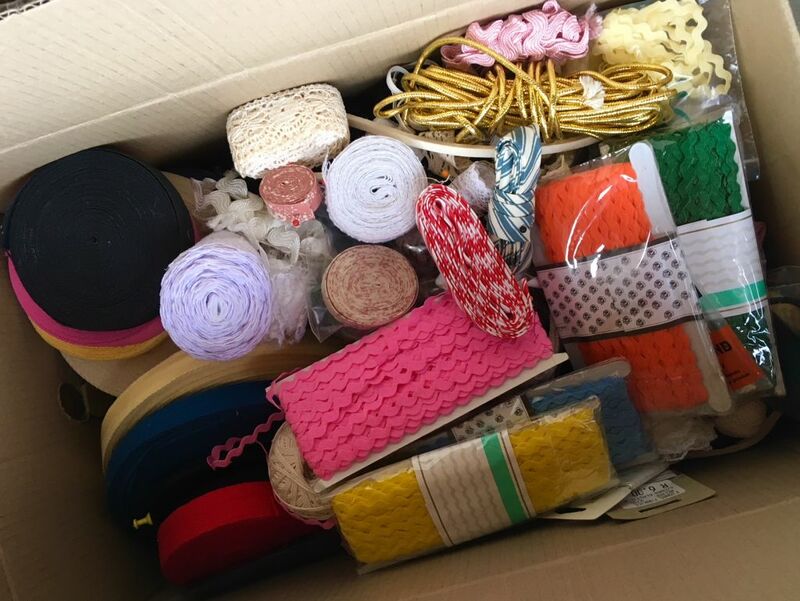 The items will be distributed throughout our community outreach projects. 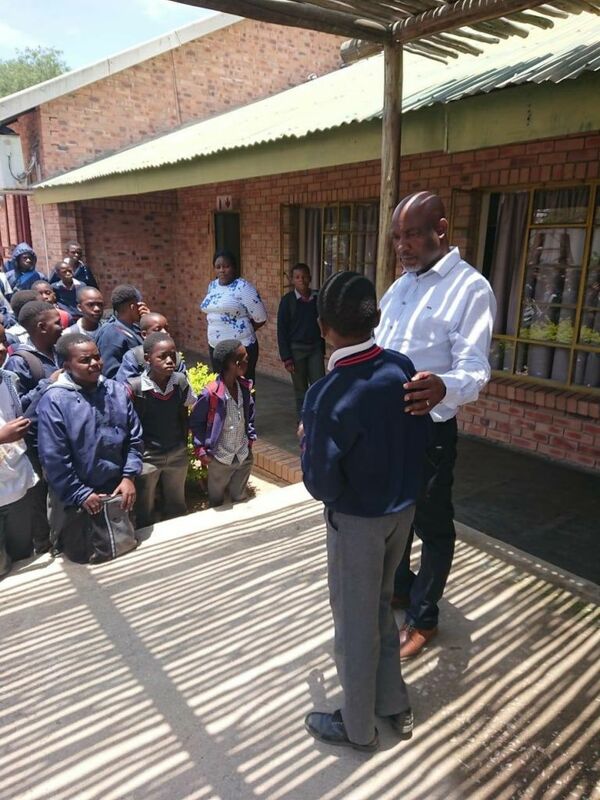 Hurlyvale Primary School participated in the Rhino Raffle and raised a total of R2009.00. Thank you to everyone that supported the raffle. We will be announcing the winners soon! 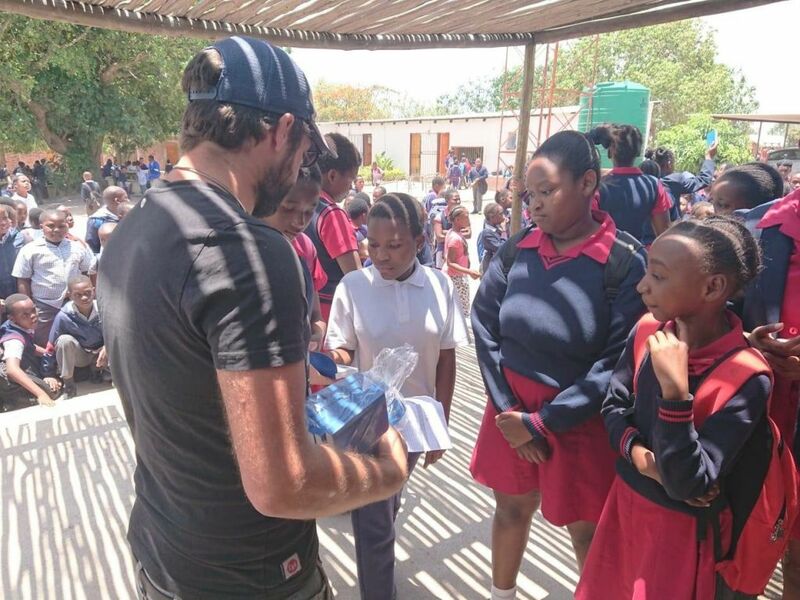 Johan and our HESC volunteers took a trip out to Lumukisa Preparatory to hand out bibles to the young students. These bibles were donated by Gielie Nienaber from GN Total HR Solutions cc. Thank you for your kindness, always. Thank you to everyone chooses to have their points allocated to HESC from shopping at WOOLWORTHS. Thank you to everyone for your kindness, and commitment to supporting our conservation efforts.